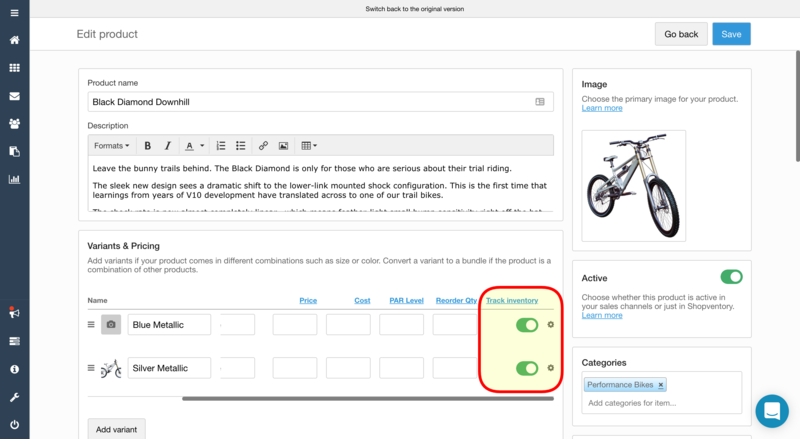 When adding inventory information into the Variants & Pricing section, you'll see the option to toggle tracking on/off. By default, tracking is turned ON. It is rare for tracking to be turned of, but it can make sense for certain use cases like for services or non-inventory products. Turning tracking OFF is good for things like oil changes, haircuts, massages, and appointments. None of these have a set number on the shelf. But we still want to be able to sell them! With "Track Inventory" disabled, quantities will not be endlessly deducted (sending you into the negatives). This way, products still appear in the point of sale and on your Sales Reports, but don't have an incorrect quantity number beside them.